Copier leases will often last for years and your business can change in an instant. Needs are not always going to be the same during the entirety of your lease. Many of our customers see an increase in demand, and they need something to help keep up with their needs. Adding additional paper trays for more productivity is a great option for those who are seeing increased demand. Adding paper trays can help in a number of areas. There is the obvious advantage which is that you will be able to hold more paper. Most copiers come with a paper tray with around a 500 paper carrying capacity. Additional paper trays can increase that number to over 5000 sheets or more. They can also help if you need to organize different types of media. If you begin to need a variety of media sizes then this can be a great option to save time. You can get trays that help separate paper weight, and color. You can also get trays that separate paper sizes, so that you can switch between pamphlet printing and tabloid printing with ease. 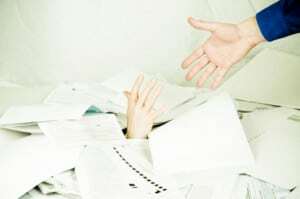 It can surprise you how much time you waste by replacing paper multiple times a day. It adds up to wasted hours every month and kills productivity. If you want to get set up with additional paper trays for more productivity then call us today at Denver Copier. We can set you up with the right add-ons to keep your business thriving.